USBG-4U2ML工业级4口USB 2.0 Hi-Speed金属 Hub为您提供稳定的USB设备连接，提供4个高速 USB 2.0 接口，用于连接各种USB设备，工业级金属封装为您提供更高可靠性。. The USBG-4U2ML Industrial 4-Port USB 2.0 Powered Hub is a Hi-Speed USB 2.0 hub that is backward compatible with USB 1.0 and 1.1. It provides an out of the box industry standard that allows connection of up to four USB peripherals or devices to your USB ready PC or Mac. The USBG-4U2ML Hub incorporates Diagnostic LEDs providing port status for each port and power status. 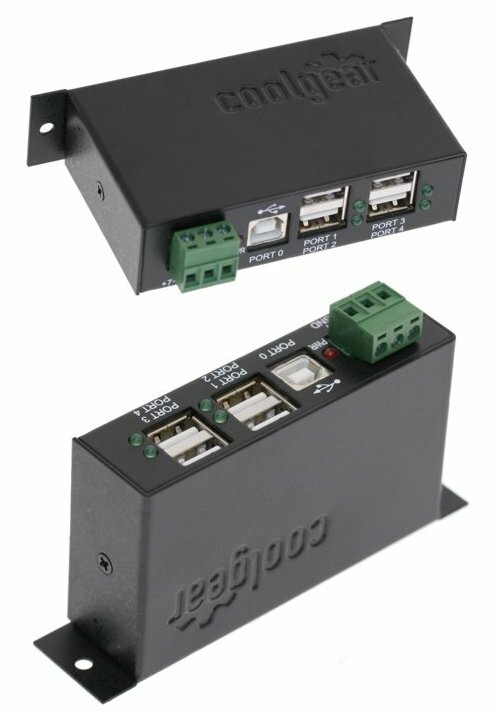 Designed to be compact and provide quick and easy access, the Industrial 4-Port USB 2.0 hub provides four type “A” downstream ports for connection to additional USB peripherals, devices, or other USB hubs. 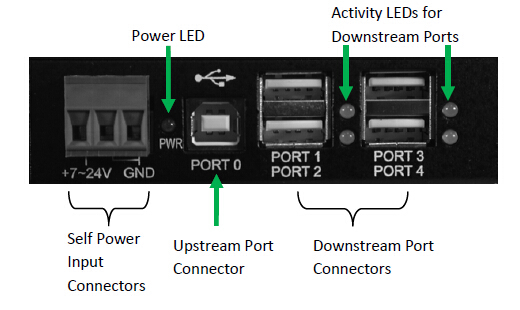 A single type “B” upstream port connects the USBG-4U2ML to the host computer or another USB hub. This USB 2.0 Hub enables up to 127 devices for connection by cascading multiple hubs. 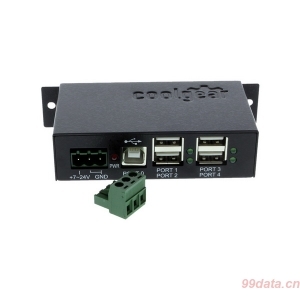 Configuration of the hub is managed by the operating system once connected, the USBG-4U2ML hub operates seamlessly with both Microsoft Windows and Apple Macintosh Operating Systems.